A year-end summary of financial markets can often be far more interesting than it is useful or actionable. Advisors caution investors about using history as a guide to the future: last year’s results are highly unlikely to repeat themselves. As trite as it may sound, financial success usually means investing for the long-term. Most importantly, it means not reacting (or overreacting) to short-term changes in financial data and news headlines. That being said, I hope to be able to give you some information to help clarify what you read and hear. In the U.S., it’s Goldilocks — just right — all over again: both the Dow Jones Industrial Average and S&P 500 are trading near all-time highs. The economic stimulus over the last six years is finally taking hold as real GDP (Gross Domestic Product) has increased 5% as of the end of the 3rd quarter. Unemployment has fallen to 5.8%. Over 2008-2010, the U.S. private sector lost approximately 8.8 million jobs, but has added 10.6 million since then. We still have historically low inflation of 1.7%, compared to a 50-year average of 4.2%. Interest rates remain significantly below historical averages. At least, this was the situation at press time. It just doesn’t get much better than this! Most advisors seem to accept that interest rates can’t go down forever, or they can’t go below zero. Technically, though, real interest rates can go below zero (and they have), but we don’t think they will. Janet Yellen, Federal Reserve Chairwoman, expects the Fed to start raising interest rates some time in 2015. So how will stocks and bonds react? In short, it depends. In the beginning of a tightening cycle, interest rates and equity returns tend to rise together. Increases in interest rates prevent the economy from heating up too quickly—causing runaway inflation—yet stocks tend to love a vibrant economy. If we keep the caveat about history in mind, stocks don’t tend to react negatively until the tail end of the Fed’s tightening cycle, when we start seeing signs that the economy is slowing again. Hopefully, it doesn’t come to a screeching halt, otherwise known as a recession. We do need to be wary of the bond category, but as always, prudence dictates not abandoning these important buffers. Often, certain types of bonds have negative correlations (that awful jargon) to Treasury Yields (particularly high yield debt, bank loans, and convertible securities). These asset classes may do well as rates are rising. Ultimately, we rarely recommend drastic changes in asset allocation to take advantage of market outlook, because there are so many factors that could change the outcome quickly and quite dramatically. A market correction can wipe away gains within weeks. The fact that the economy and the market did so well over the last year is now irrelevant, and no one—including us—can predict the future with any degree of certainty. Long-term trends are all that is important, as is your financial well-being over time. It will take every ounce of discipline not to move assets out of international and small cap stocks, and increase the U.S. large cap stock exposure. Discipline is your mantra here. Your asset allocation should be determined by your employment situation, cash flow need, time horizon, risk tolerance and other personal factors, not necessarily market outlook and short-term economic indicators. If you need access to a certain amount of money in the next three years, consider carving that out of your portfolio and putting it somewhere less volatile. But don’t suddenly shift out of stocks either! Even people who are retired should consider a portion of their portfolio as long-term, as 65 year olds have a high probability of living into their 90s. Those 25 years are a long time by any measure! Let’s make sure your money lasts as long. 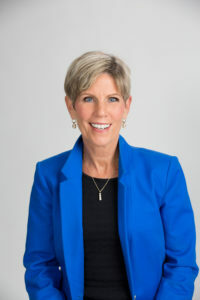 Patti Brennan CFP, President: Key Financial, Inc., 1560 McDaniel Dr., West Chester. 610429-9050; PBrennan@KeyFinancialInc.com.